Interviewer : Can you please give us an overview of child custody issues? 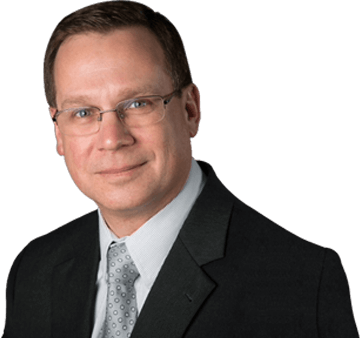 Mark Kezy : If my clients have children, I generally start off any discussion with regard to divorce with custody and visitation. The reason is that, usually, that’s the most time consuming and the most expensive part of any divorce. As far as custody goes, a lot of times, people aren’t fighting over joint custody or sole custody. They’re fighting over where the children are going to reside. Sole custody generally means that the children are going to reside with one parent on a day-to-day basis. That parent has the right to make all decisions for the children and the other parent has the right to visitation and the obligation to pay support. Joint custody, unlike what most people think, does not mean that the children are going to reside with both parents equally. Joint custody generally means that the children are going to still reside with one parent on a day-to-day basis, but that the parents are going to make certain decisions regarding the children together, including decisions about healthcare, education, extracurricular activities, religion, and religious activities. The other parent has the right to visitation and the obligation to pay support. Now, there’s a caveat to both of those. Generally, whether you have a sole custody or a joint custody arrangement, you put together a parenting agreement. I try to tell people that, ultimately, the real question is not whether you call it joint custody or sole custody, because those words in and of themselves are somewhat meaningless. It’s really the content of the parenting agreement that counts, because whenever there’s a question in court, the first question on the judge’s mouth is not, is it sole custody or joint custody. The question is, what does the parenting agreement say? Generally, I try to tell people to concentrate not on the terms themselves, but on the parenting agreement. A lot of times, in a parenting agreement, you see that a lot of the same rights and same responsibilities that are associated with sole custody extend also into joint custody. For instance, in each case, parents have equal access to school records, equal access to medical records, and the right to participate in school and extracurricular activities. What it really comes down to is what decisions the parents are going to make together. A lot of times, people point to parenting agreements to say that they’re going to make joint decisions regarding major issues such as education, healthcare, school and extracurricular activities and religious activities. What I try to tell people is this is that, first of all, a parenting agreement is not intended to be a handcuff. When you put together a parenting agreement, you need to look at it as a safety net. Now, with that in mind, it’s very important that you anticipate problems that may come up in the future, and that you be as specific as possible about those problems in those parenting agreements. For instance, people will say that in a provision of joint custody is that, pursuant to the parenting agreement, the parties are going to make major decisions regarding, say, healthcare, education, extracurricular activities, and religion and religious activities. A lot of times, people look at that and say, “Well, we understand that right now.” I try to tell people to look past that and to think about the real decisions that they generally make. When it comes to healthcare, the real question is, for instance, the choice of doctor. How will you make those decisions? Most people are not doctors. Most of the time, when their child is sick, people are going to sit down with the doctor because they trust the doctor. If the doctor says, “Your kid needs to have their tonsils out,” or, “They need to have their appendix out,” the parent is basically going to do what the doctor tells them to do. The real question is not whether you can make these decisions, but can you make them with the child’s doctor. You need to specify that the major healthcare decisions include the choice of the doctors. When it comes to education, you might include that you’re going to jointly decide where the children are going to go to school, or jointly decide if they’re going to be enrolled in special programs. When it comes to religion, I try to tell people to specify if there’s going to be an issue. In what religion the children are going to be raised? And not only that, but what activities, specific religious activities and education are they going to follow? Specify that in the agreement. I tell people, when you’re putting together the parenting agreement, you really, really, really need to sit down and think, not only am I going to be involved in major decisions regarding the healthcare and education and religious training and extracurricular activities, but what specific things, with regard to those decisions, do I really want to make sure that I have my fingers in, so that I continue to make those decisions regarding my children?